Architecture Ireland, 2005 Feb., n.204, p.59. Review of book on the work of Steven Holl Architect. 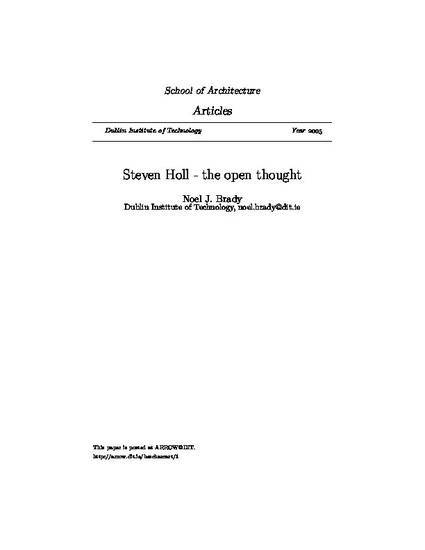 Brady, N.:Steven Holl:the open thought.Architecture Ireland, 2005 Feb., n.204, p.59.